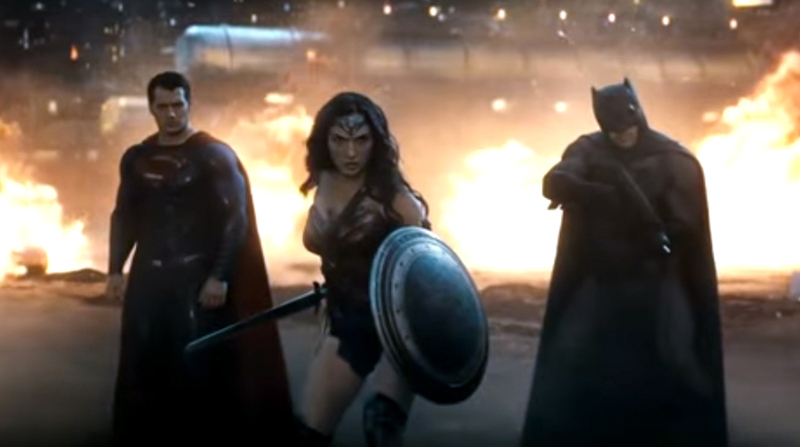 Warner Bros. Pictures has release a new trailer for the upcoming feature film, Batman v Superman: Dawn of Justice. In this trailer, we get a glimpse of the battle between Batman and Superman stemming from their differing opinions about what kind of hero the world needs. Wonder Woman also makes and appearance. This superhero flick stars Ben Affleck as Batman/Bruce Wayne, Henry Cavill as Superman/Clark Kent, and Gal Gadot as Wonder Woman and is directed by Zack Snyder. Batman v Superman: Dawn of Justice opens worldwide in 3D, and in 2D, and in select IMAX 3D theaters beginning March 25, 2016.